It is easy enough to get distracted while driving. How many times have You missed an exit or arrived at the wrong destination because your mind was elsewhere? Throw in a cellphone, GPS, applying a little lipstick or taking your eyes off the road to place your coffee in the cup-holder. Life is busy, getting distracted is easy enough without adding to the distractions while you drive. 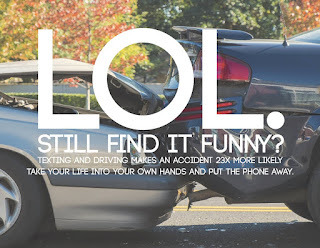 Most of us wouldn’t drink and drive, so why do we text and drive? Texting while driving requires that you take at least one hand of the wheel and glance at your device to see what your typing or receiving. As much as I have complained about other peoples behavior, there are times that I slip into the dangerous practice of responding to an incoming message like a Pavlovian dog at the sound of the bell. We are not, despite the conditioning, obliged to answer the physic salivation. While the provincial government banned the use of handheld cellular phones while driving, one does not have to stand at an intersection or glance left or right in traffic to see someone typing a message, surfing the web or gabbing illegally on their cellular device. One of the good things in this province's spring budget was an increase in amount of money offenders pay for distracted driving convictions. The maximum fine was $400, but repeat offenders can now expect to face fines upwards of $750. Yet, distracted drivers are everywhere. Increasing penalties for reckless, careless and distracted driving is a good start. some jurisdictions have legislated tougher penalties when a driver kills or injures another person while “aware of and consciously disregarding a substantial and unjustifiable risk” behind the wheel. Public education programs are another way to make people realize how dangerous distracted driving and the loss of concentration can be. The Ontario Provincial Police have launched a fantastic public relations campaign in that province. OPP Deputy Commissioner Brad Blair, Provincial Commander of Traffic Safety and Operational Support says "Don’t be a passenger of a distracted driver. Recognize that they are endangering your life. Speak up and insist that they focus on the road and on safe driving. By not doing so, you are contributing to the problem." Perhaps it is time to ban cellphone usage in cars all together. Of course, we do not have to wait for government to act to take responsibility and develop more attentive driving practices. 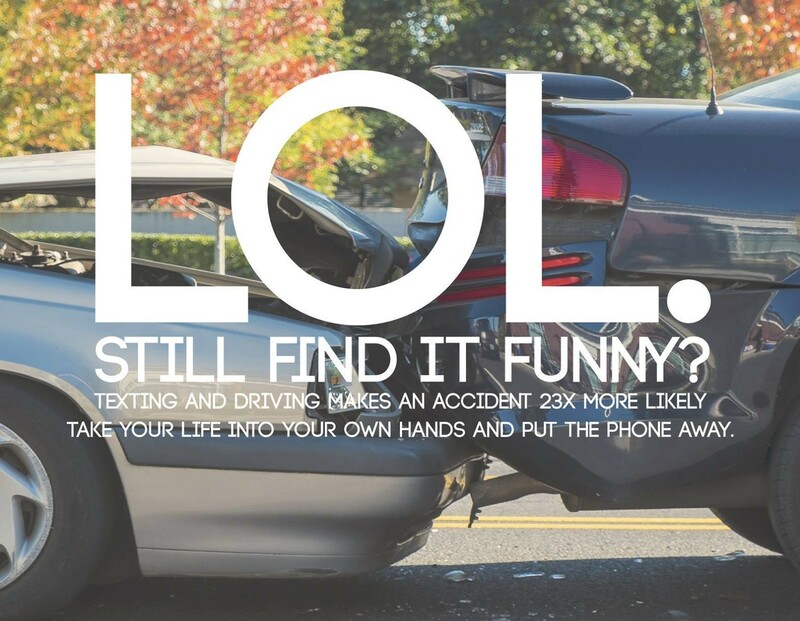 public more aware of distracted and dangerous driving. S.T.A.N.D. (Standing Together Against Negligent Driving) are for educating the public on the dangers of reckless driving and working to drive legislative change. It is a response to the alleged street racing death of 18 year-old Hanna Throne on the New Harbour Barrens this past summer. The combination of common sense, tougher criminal penalties and public education should assist in reducing senseless tragedies that occur on our highways because people refuse to disconnect.